The default thinking of any business owner is that the customer is always right. It’s a perfect undercover for malicious customers. They have laws, banks, and the power of online reviews on their side. Some scam methods migrated from in-person commerce, others are typical only for online shops. The most common cases include refunds and credit card fraud. We are going to explain how some malicious customers can take advantage of you and what you can do to minimize your risks. Receiving a suspiciously generous sum for your products or services should be a warning sign. Some scammers pay more than the estimated price to ask you to refund the difference. They call it a mistake or think of some other excuse. You haven’t received any money. The customer can claim that the money is being held until you return the extra payment. The receipt looks weird (they can send you a fake one). The customer wants you to send the money to a specific bank account or using a wire transfer. A situation like this usually involves chatting with the scammer personally, so it’s hard to miss the signs once you’ve learned about this type of crime. Here’s what you can do to protect your business from overpayment scams. Accept payments according to the estimated order given by your payment provider. If you suspect a scam, you should never send the money back to the customer using cryptocurrencies, wire transfer, or a pre-loaded card. It’ll be next to impossible for you to return the money. If you sell with Ecwid, you can choose from 50+ trusted payment providers from all over the world. If you are a solopreneur, that is probably out of the question. However, if you have a co-founder, a friend, or a family member who helps you with customer care, make sure everyone who has access to payments is aware of scam protection methods. Today you can buy a fake copy of almost everything and sometimes for a fraction of the price. It’s often quite hard to tell the difference. A swapper is someone who makes a return but substitutes your product for a cheaper or an older one. This scheme is especially dangerous for sellers of expensive goods. This Dolce & Gabbana bag costs $1,599. A fake copy costs $291. Another widespread type of fraud is a substitution for a defective product. If you sell household appliances and electronics, you should watch out for this. These people will replace a new product with a broken one and even get the money back. Make sure your products don’t have any defects or damages. If it is a device, always check if it works. When you aren’t loaded with orders, you can even take pictures or videos of the packaging so that you have evidence of sending quality goods. Pack it thoroughly to prevent damage. Read our guide on flawless packaging. If you are sure you sent a proper-quality product but your customer claims the opposite, you can perform an expert examination to prove that the customer is lying and deny the refund. Or you can give them the refund without hassle but put this person on your blacklist. Use barcodes or come up with your own marking. Add a product number to an order receipt. This way anyone can check the products’ authenticity — a delivery person, the postal service, and your employees. Payment providers (PayPal, for example) use such evidence to protect you from fraudulent transactions. Come up with your return policy, give clear instructions to your employees, and make them follow them strictly. Your return policy must be clear, not only for customers but also for employees who process refunds. Think through the whole procedure, from checking the return and the product’s authenticity to paying back. 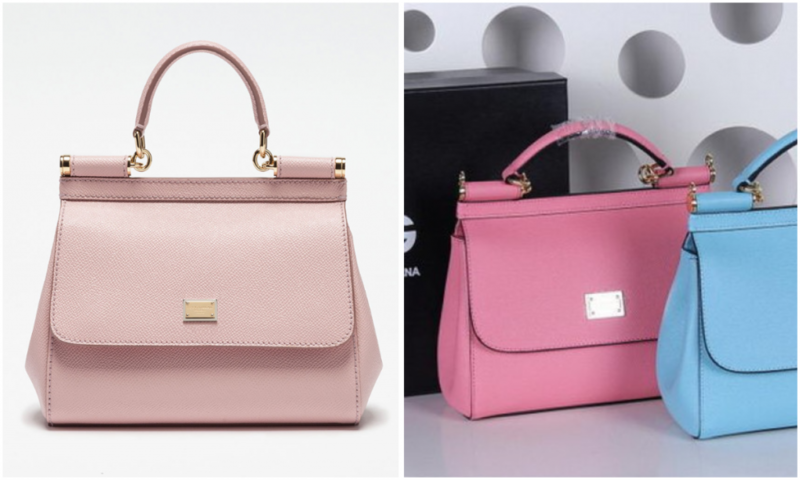 If you offer refunds and the delivery person deals with returns, explain to them how to tell an original product from a fake one. A professional wardrober can spruce up worn clothes, so it can be very hard to expose them. However, that doesn’t mean you should let things slide. Confirm orders on the phone to ask if the customer chose the right size and color. Personal attention can scare away scammers. You can also call them the day after the delivery to check if they are satisfied with a product. If you accept credit cards, ask your payment provider if it is possible to tie up money on a payer’s credit card. This is how it works: a сustomer makes an order in an online shop, the required sum is put on hold on their bank account. You call the customer back, and if he or she confirms the order, the money is debited from the card. It helps to prevent paying back in case a customer doesn’t confirm the order or you can’t get through to them. 92% of people will shop again at the store which accepted a product back without a problem. However, don’t dance to the tune of the stats trying to make your return policy a breeze. Specify the conditions for a return: limit the return period, give a list of documents for purchase confirmation, ask to fill in a return form. Who pays for shipping expenses? Free returns attract customers, but paying return postage creates a hassle for scammers. They will probably move on to other stores. 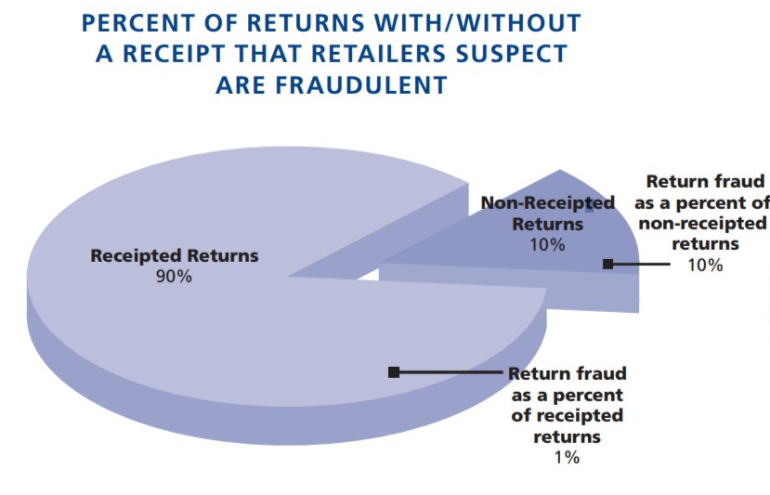 US federal laws don’t affect returns and refunds. Laws may vary from state to state. Whatever country you sell in, check out your local laws to avoid problems. Customers may take advantage of postal services’ weaknesses. Some time after the product is shipped, a customer complains to the online store that they have never received the order and asks to get money back. If a store can’t prove that the product was delivered, it has to obey. Most postal services provide customers with track numbers. Plus, an ID is required to accept a parcel. If you use a major shipping provider, you’ll have the proof and no customer will be able to trick you, pretending that they didn’t receive the order. Friendly fraud means that a rightful cardholder places an order and then lies that it wasn’t them. When the product has already been shipped, an online store gets a refund request from the true cardholder, who says the card was stolen and it wasn’t them who shopped at the store. If the bank takes the side of the customer, you have to pay the money back. In this case, a seller suffers double damage because a product is lost and money has to be paid to the scammer. Companies that accept recurring payments often suffer from this type of fraud. Customers forget (or don’t read) the policy document which states that recurring payments for subscription are to be debited from their card. If a customer confirmed their order by phone or email, they can’t claim that they didn’t buy it. Make a formal offer and clearly describe the payment terms. If you sell service subscriptions, state the conditions for extension and unsubscription. Ask your customers to agree with the formal offer. Accepting Bitcoin (and other cryptocurrencies) eliminates chargeback fraud. Once a client has paid for your product or service, the money is, and will stay, in your account. Bitcoin payments are final. The customer can’t contest them because they didn’t like your service. Unlike credit card payments, charges cannot be reversed. If you want to accept Bitcoin (and other cryptocurrencies) in Ecwid, use the CoinPayments app (available for free on all paid Ecwid plans). 46% of Americans have been the victim of credit card fraud. One more authentication step is added to a purchase payment in an online store. Typically, it is a request to type the code from an SMS to a customer’s phone. Visa, Mastercard, and American Express use this way of transaction protection. 3-D protocol minimizes the risk of stolen card fraud. This system checks transactions automatically, and if it looks suspicious, the system requires a manual check or cancels the transaction. Transactions are being checked in many ways, from the computer’s IP address to a card’s payment statistics. The aim of the system is to confirm that a user is a true cardholder who shops at this online store. For example, if a transaction is performed in the US by a US cardholder, and the order’s sum doesn’t exceed the average order value of a shop, then the transaction will be approved. If a customer tries to pay for an order that exceeds the AOV by a lot, then the transaction is considered suspicious. AntiFraud principles can be used even if you don’t use payment services. Create a portrait of your typical customer: age, AOV, location. If some features don’t coincide with your portrait, it’s better to call your customer and confirm the order. Along with other payment methods, you can allow paying in cash in your online store. Scammers take advantage of that, too. So here’s a Guy Richie-worth scenario: A scammer can ask you to meet them in the street (so that they can run away if exposed.) They pay, you count the money and notice it’s not enough. The scammer apologizes, takes money back, supposedly adds the lacking banknote, and gives it back to you. Of course, the sum is wrong again because the scammer has already taken some money out or replaced them with fake banknotes. If you count money again and detect the scam, such a customer will try to leave as fast as possible. But if you don’t count the money again, it’ll be almost impossible to find and blame the scammer. Do you see where we’re going with this one? Whoever takes payments in cash (you, your courier service, your employees) have the rule to count the customer’s money (no matter where you meet). Ask your team to avoid meeting in the street, lobbies, and places like that. Don’t let scammers get away with their crime. Not only can they steal your particular profits. On a large scale, malicious customer behavior has more negative effects. Retailers try to compensate the losses caused by scammers, which leads to increased prices and cost-cutting. Eventually, we can all end up with fewer jobs and more expensive products. Have you ever been scammed by a customer? What do you do to avoid such situations? Please, share your experience in the comments.